There are many types of axes and most are a single bit axe, a handle with a single blade head. The double bit axe is composed of two blades. One edge is kept in a sharp condition and the is used for chopping around dirt and rocks (resulting in a blunt edge). The double bit axe is mostly used by professional, but that shouldn’t stop you from buying one! 1 Where can a Double Bit Axe be used for? 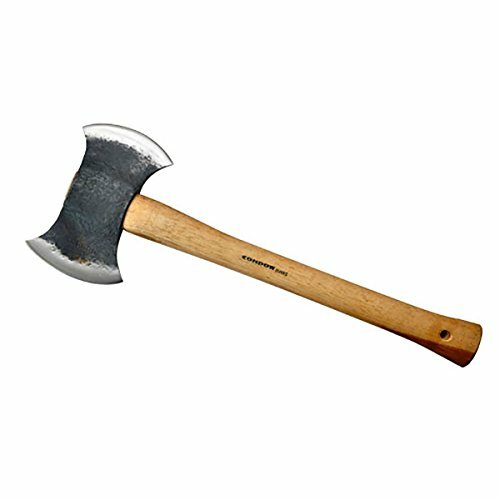 Where can a Double Bit Axe be used for? You can use it for cutting lumber. Because of the two sides, you can use one for the more obtuse angle and the other for the thinner angles. While this might not the best choice for splitting firewood, the heavier head gives it enough force for a quick an accurate cut. The double bit axe is also commonly used for making furniture or an art craft. The sharpness of the blade inflicts minimal damage to the wood while it’s being shaped. It’s also used in the woodsman sport. The heavy head of the double bit axe builds up a great amount of power when thrown to the centre of a target. The Estwing is available in 3 designs, all black, blue and a leather-wrapped handle with black. This is a real sportsmen axe. It has a lightweight design and a shock reduction grip. The Estwing is perfectly balanced and weighted. Perfect for the sportsman, but also a great versatile outdoor axe for chopping logs, small trees and splitting small firewood. A tiny double bit axe, the total length of this axe is 14.5 inches. So we could also call it a double bit hatchet… It is a decent axe, you might need to sharpen the edge a bit when you receive it. 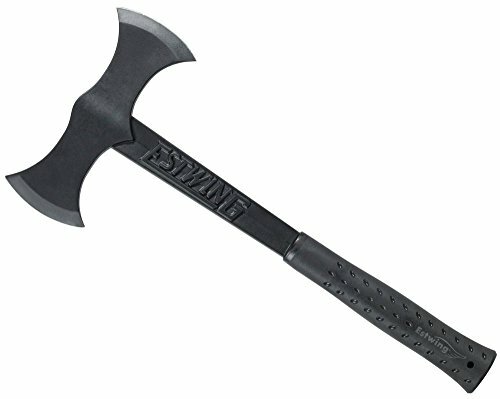 This is the type of axe you keep in your jeep for just in case or take with you on an occasional hiking trip. Pre-Hanging Handle Length 16" Actual Post-Hanging Length +/-15.5"
The Council is also a small double bit axe with a handle length of 16″. 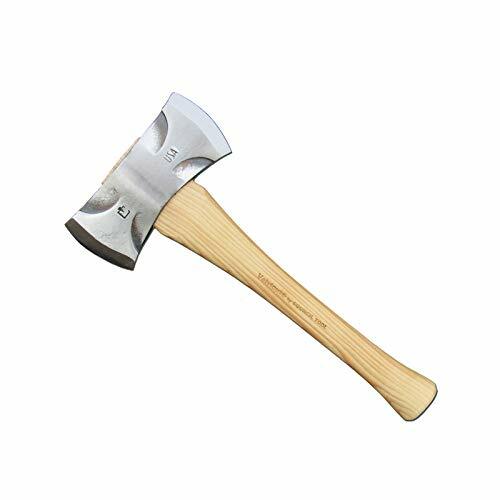 This premium axe is beautifully crafted and extremely durable. The size of the axe and the multifunctional design made this model an perfect axe for carrying in a saddle bag. The left blade on has an extremely sharp 25-degree flat grind for cutting, saving and carving. The right blade has a robust 32-degree flat grind for splitting and heavier jobs. This make is a very well designed and useful axe which is easy to carry on a hiking trip. A decent well made double bit axe. With a length around the 26 inches is it perfect for some modest chopping. The hickory handle is great, the grain is perfectly aligned. For the price a pretty fine axe! Below you will find all the double bix axes compared with the important details listed. Hi. thanks for the great write up!